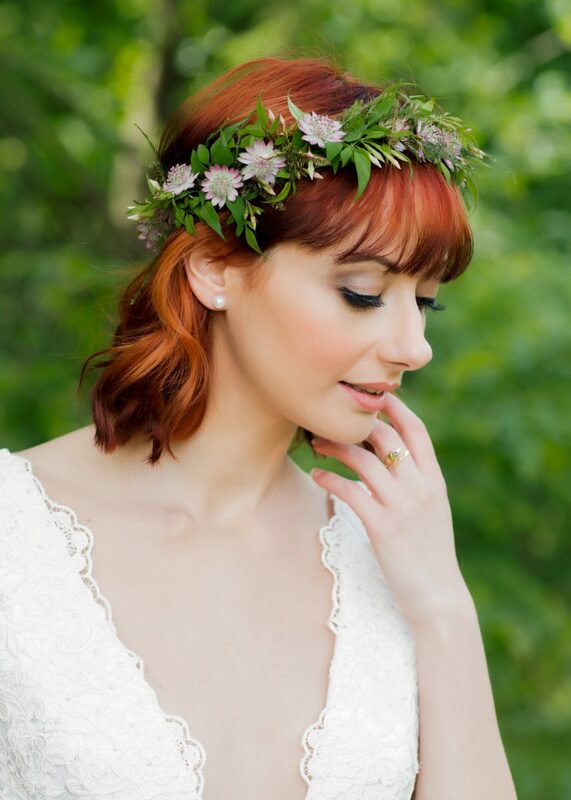 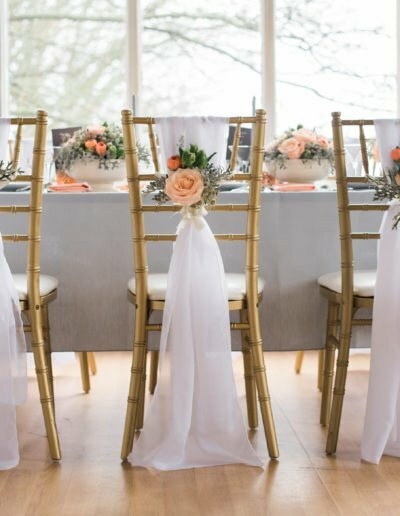 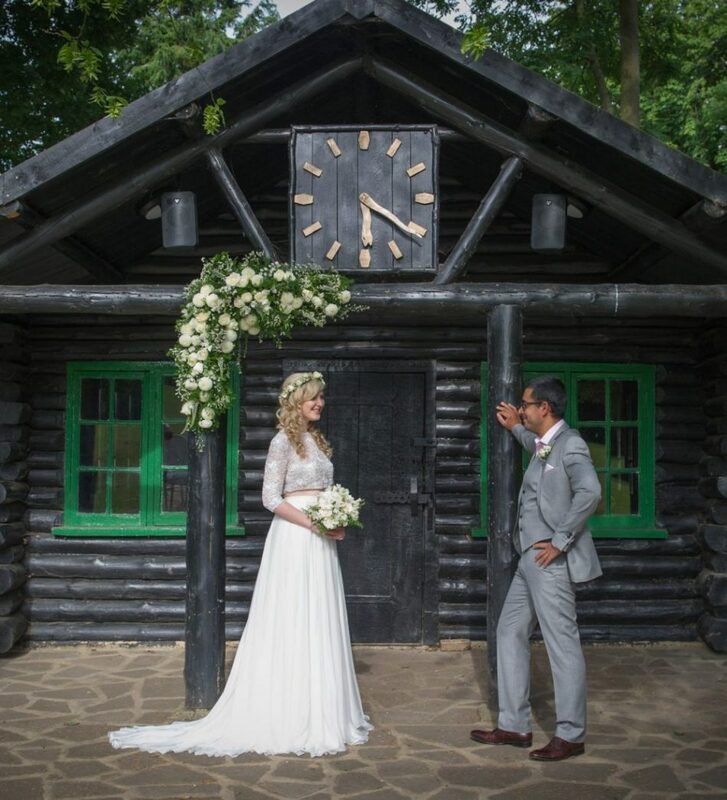 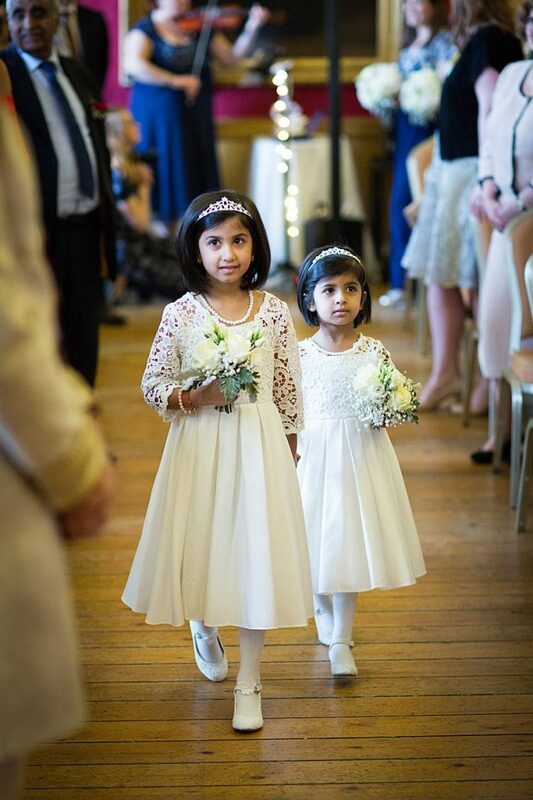 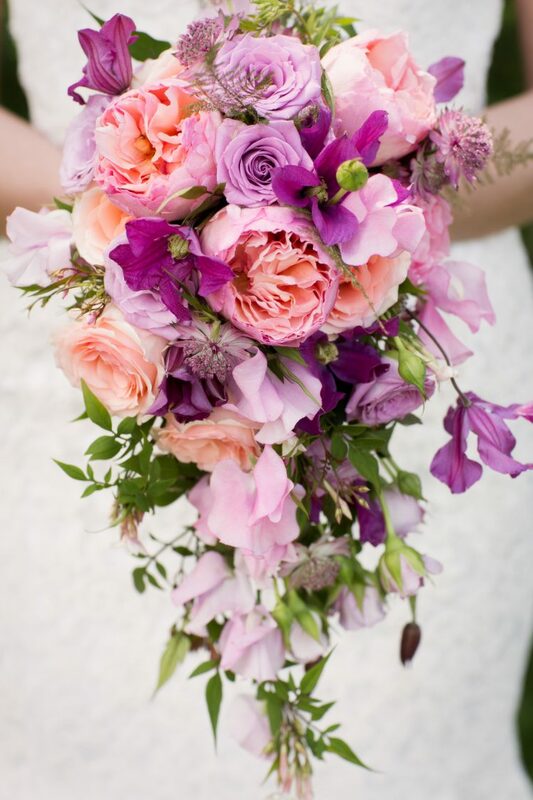 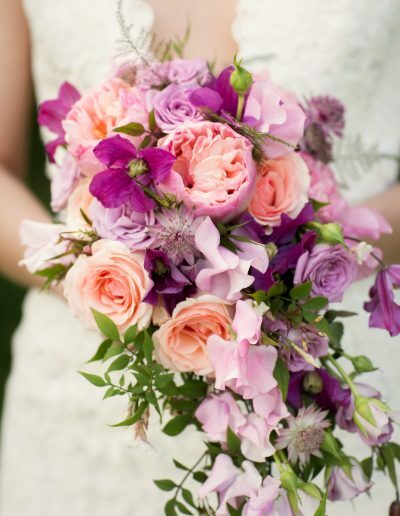 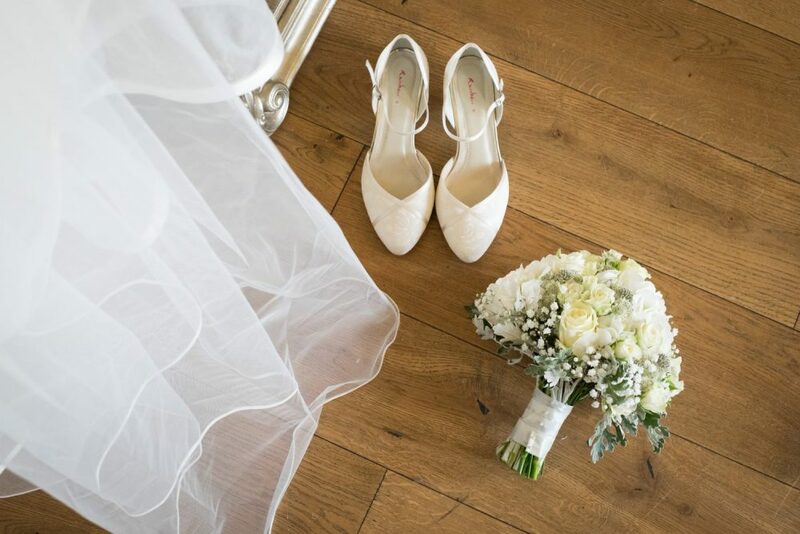 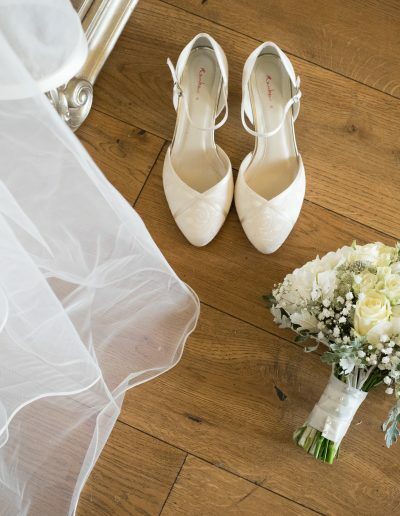 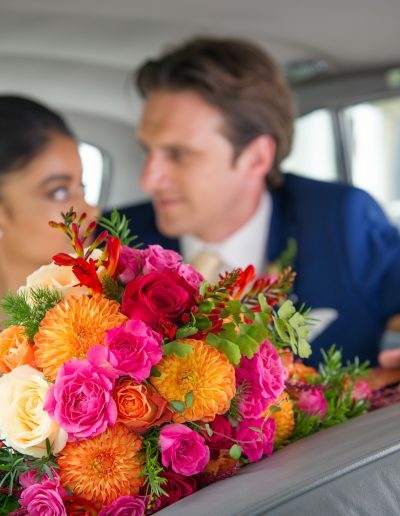 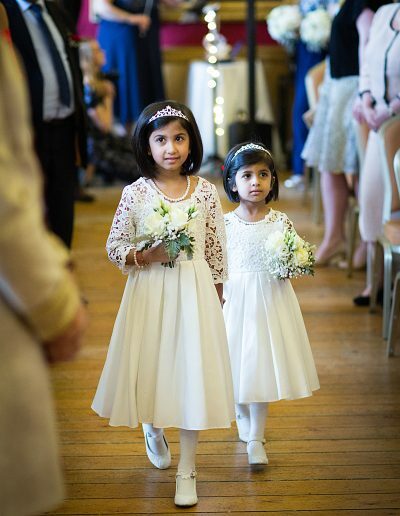 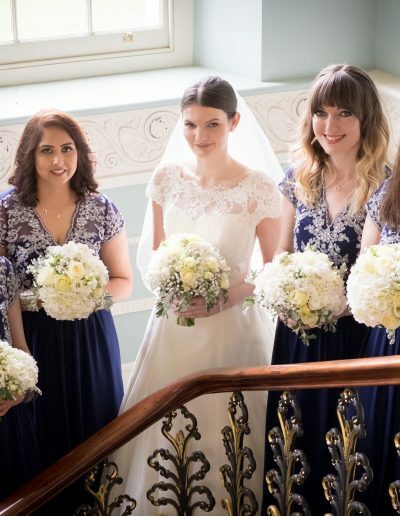 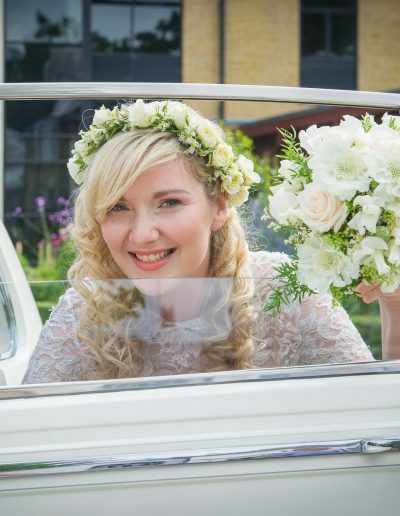 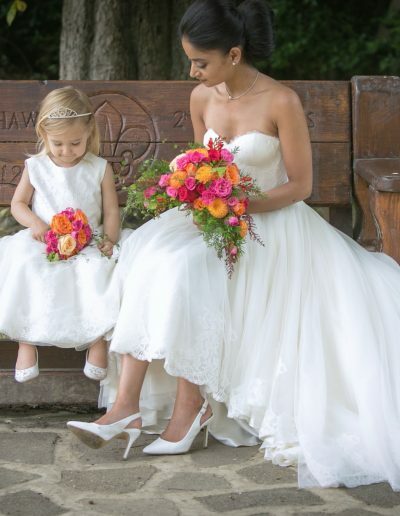 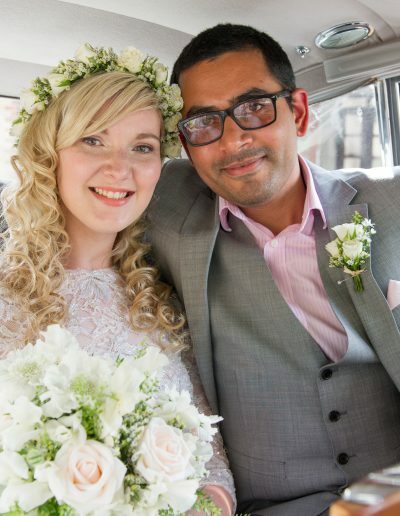 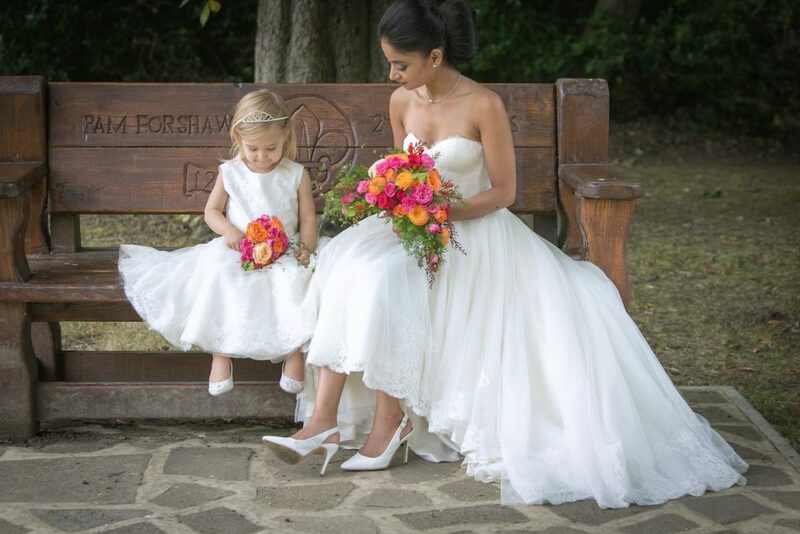 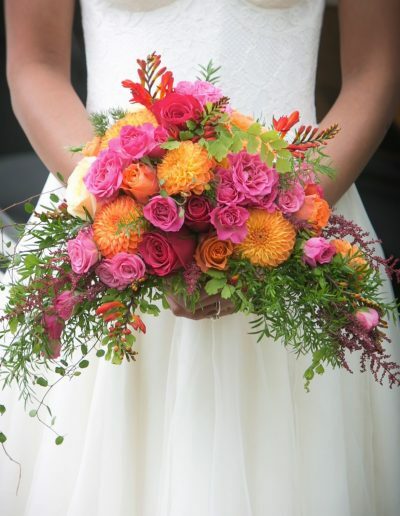 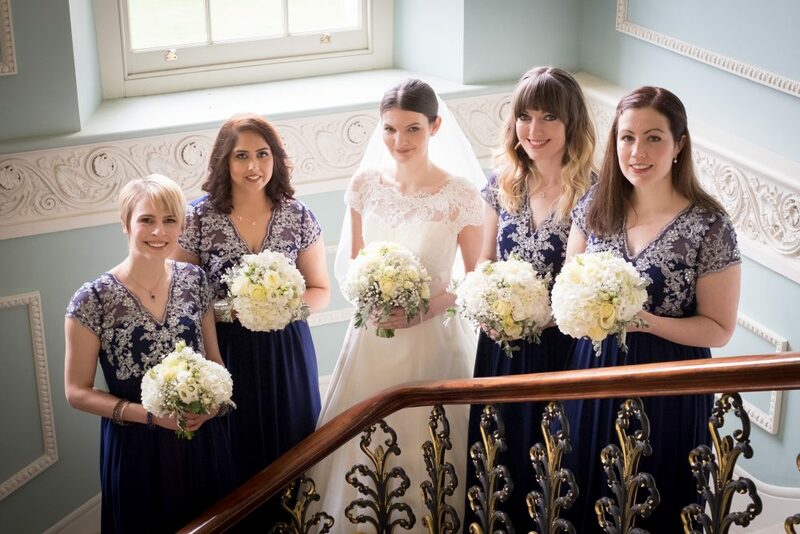 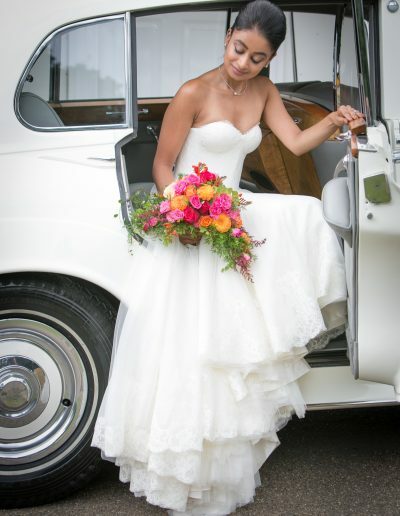 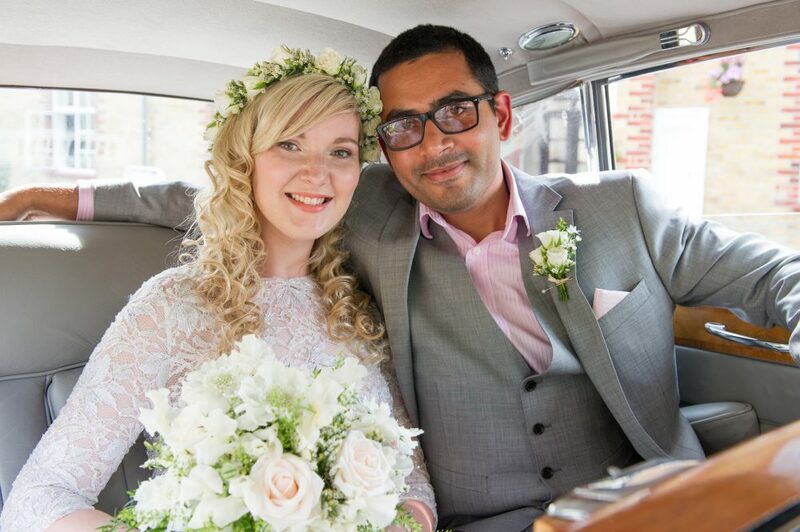 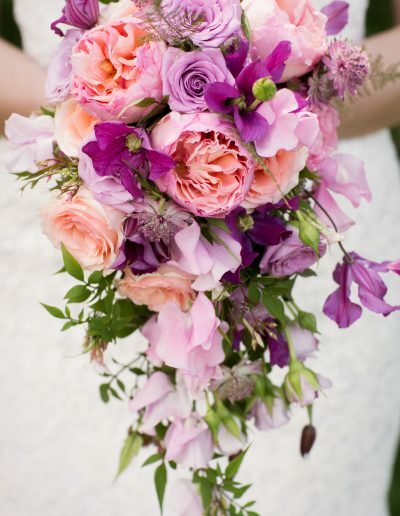 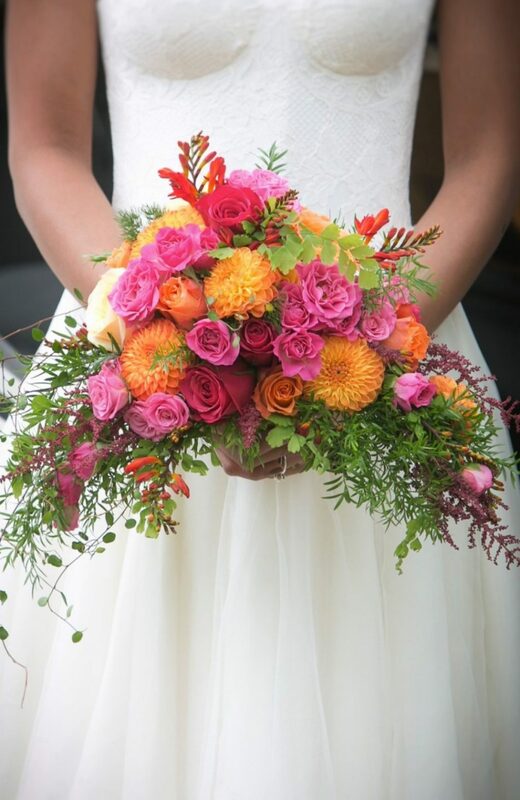 Your wedding is one of the best days of your life and for this important occasion Sarah Diamant Florist, based in Woodford Green, will help you choose and design all your floral arrangements; from a beautiful bridal bouquet to the exquisite floral decoration of the venue. 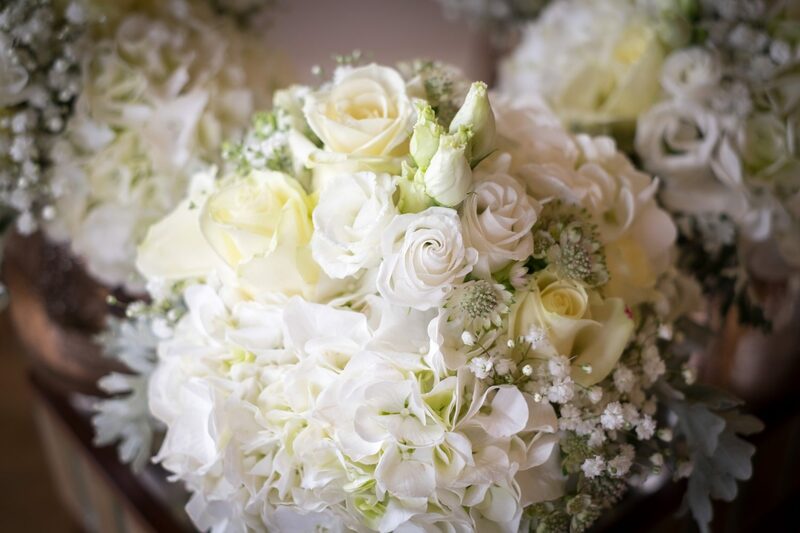 Sarah Diamant Florist offers passion and creativity combined with the finest quality of flowers to produce the best bespoke arrangements possible for your floral wedding needs. 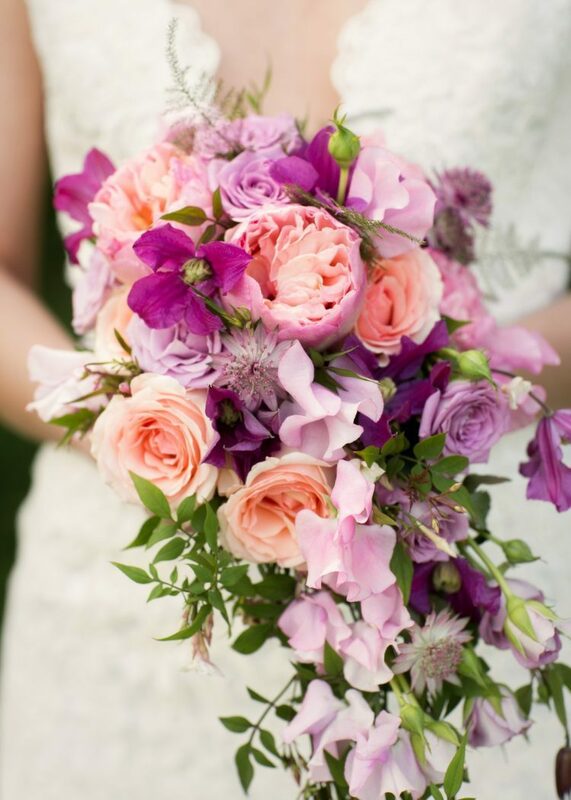 To help you choose a concept design, below are a few photos of wedding flowers from our wedding flowers gallery. 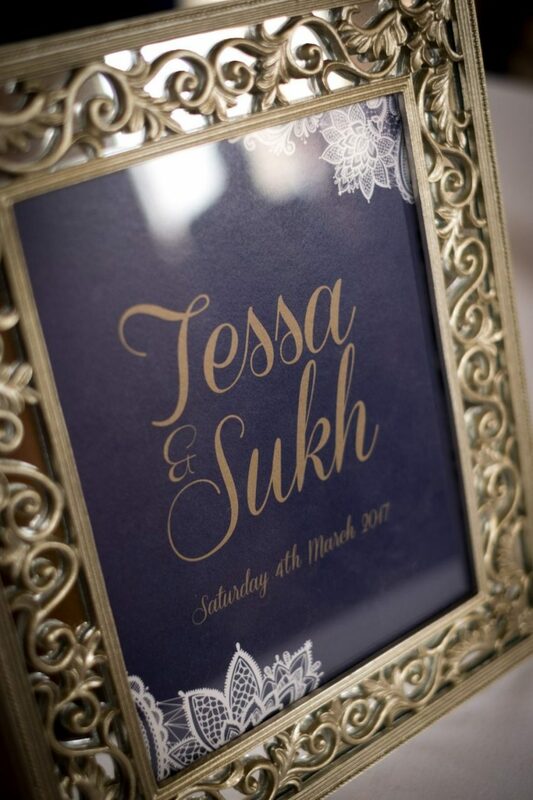 To view more images please contact us to arrange a private consultation or you can visit our Facebook, Instagram and Twitter. 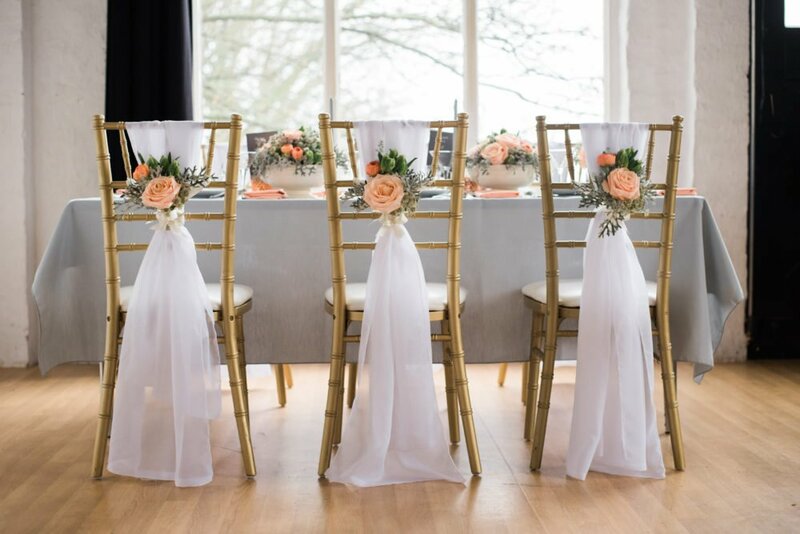 If you or any of your guests suffer from floral allergies we also offer a wide range of elegant artificial flowers including luxurious silk flowers and foliage. 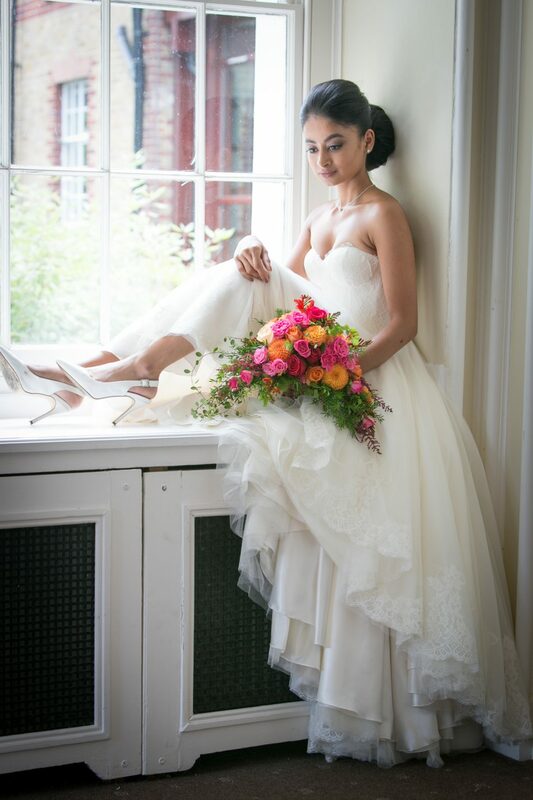 Created for a bridal editorial photo shoot: Absolute Bridal Magazine. 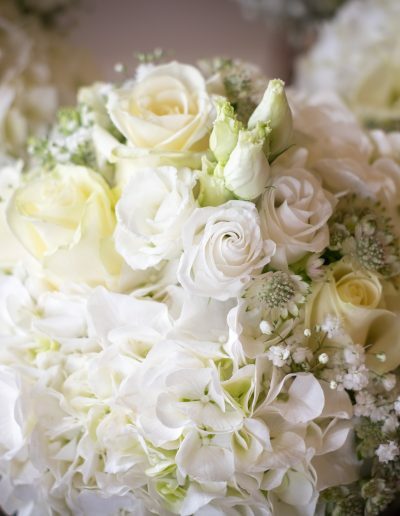 This elegant cascade bridal bouquet has been designed with the most beautiful scented English garden Roses. 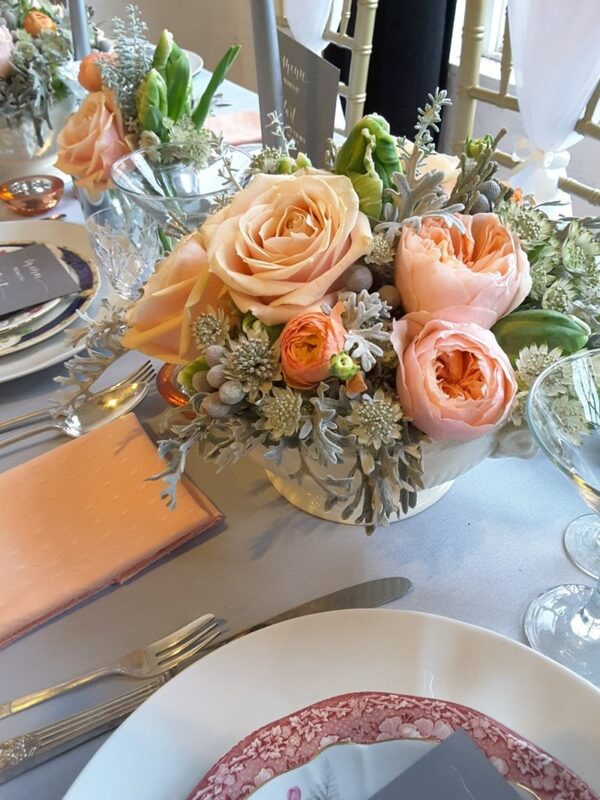 The Princess De Monaco Roses and Whisper Roses give a generous look balanced with the delicate touch of Lathyrus (Sweet Peas) and Astrantia. 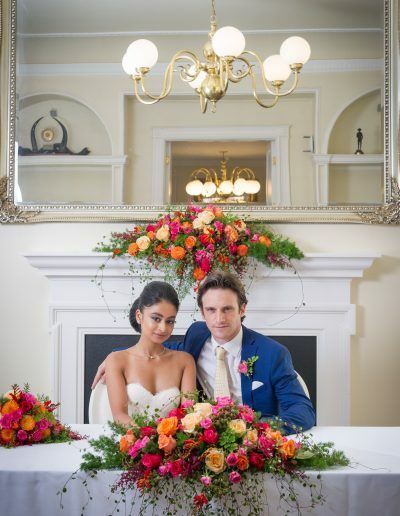 The amazing sunset colours bring a warm feeling that we all wish to have on our wedding day. 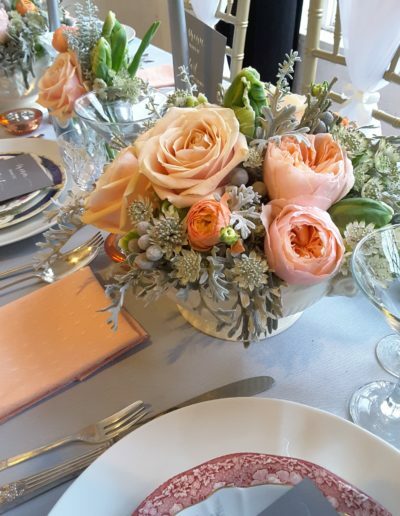 To complete the Bohemian theme with the wedding flowers, we proposed to design natural and fresh looking floral arrangements combined with fabulous shades of cream flowers. 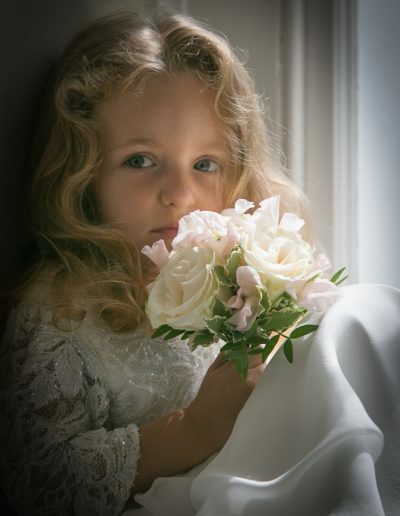 An alliance of Vendela Roses, Scabiosa, Lathyrus (Sweet Peas) and a mixture of textured foliage were used for the bridal bouquet, the bridal flower crown, the flower girl’s bouquet and the buttonhole. 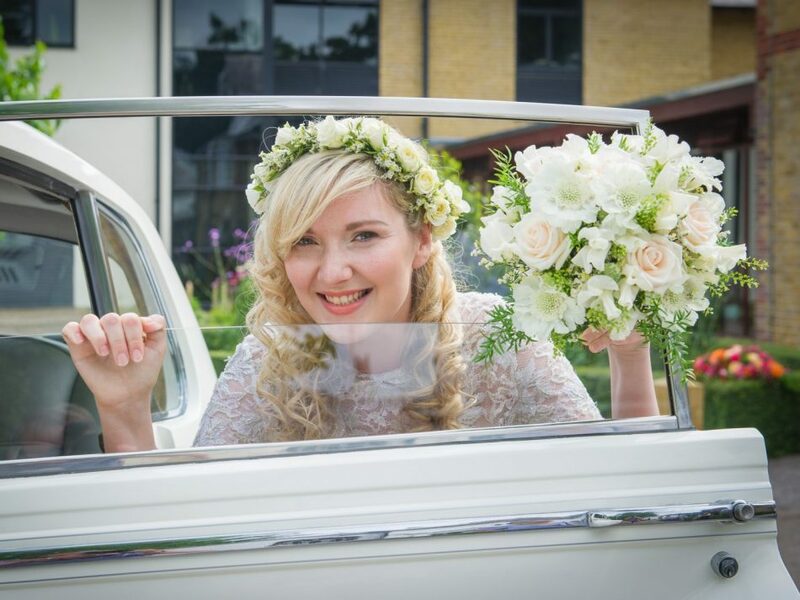 Photographer: Sean East Photography, Bridal Wear Designer: Audrey Ashley Couture, Make-up Artist: Emma Grehan, Luxury Wedding Car: Elegance Wedding Cars. 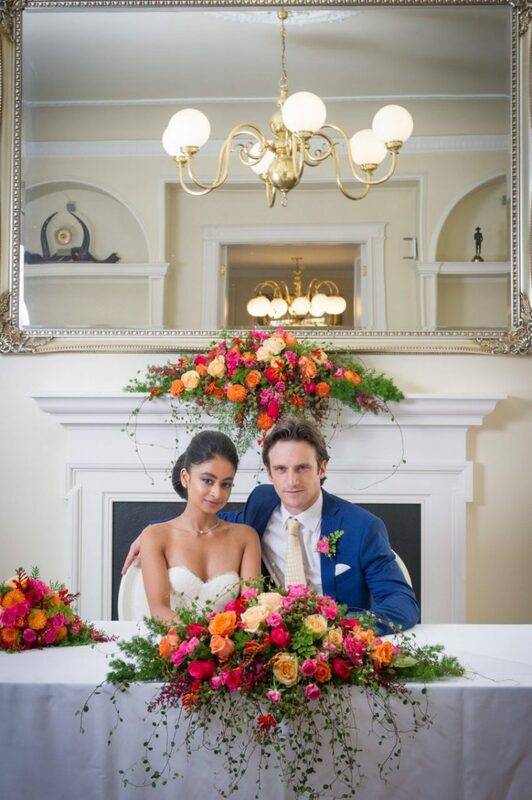 This beautiful wedding arrangements were used within the lovely venue of Gillwell Park, in North East London. 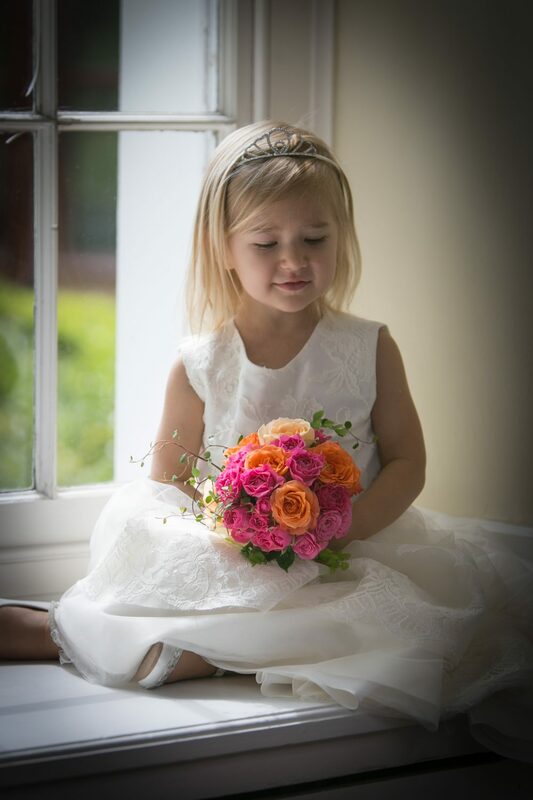 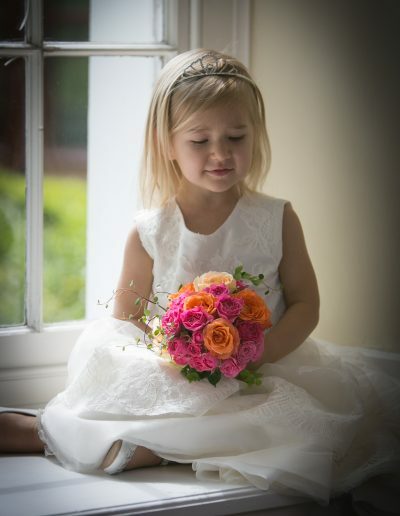 The floral arrangements included an original croissant cascade bridal bouquet and a matching flower girl’s bouquet. 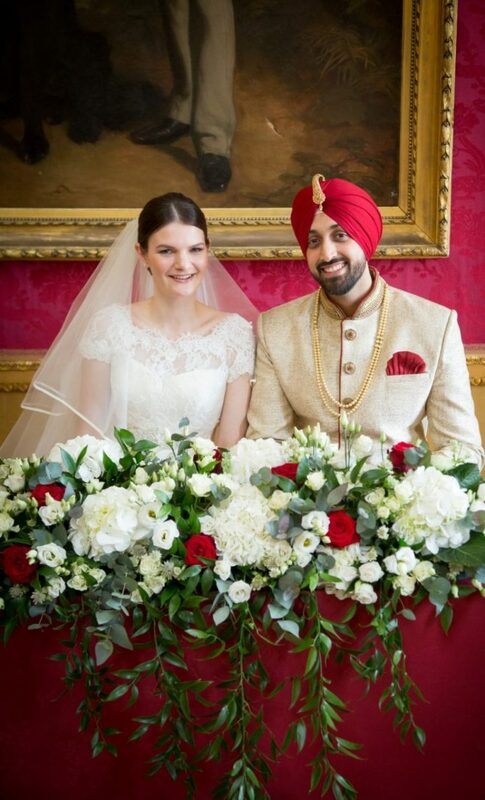 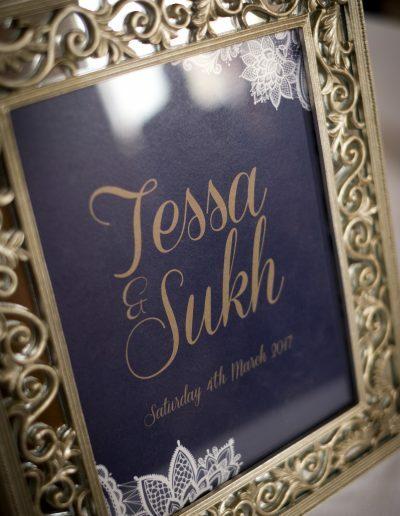 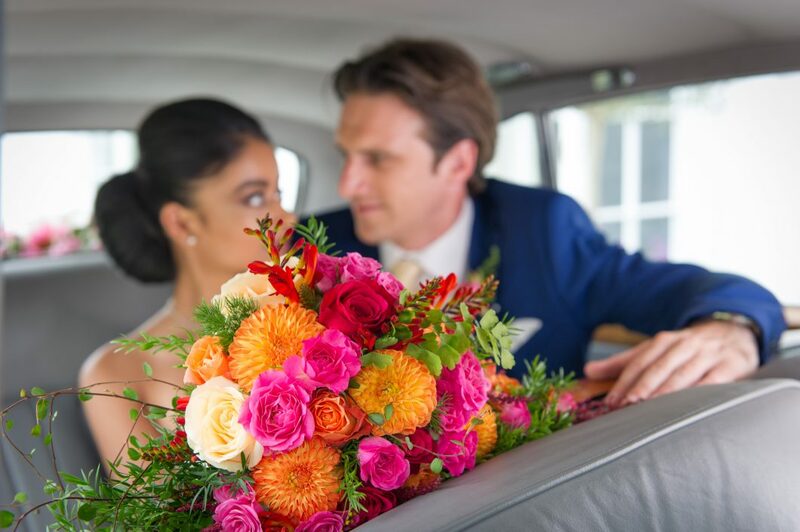 The inspiration behind the wedding flower designs was to combine a traditional English floral style with some vibrant tints to remind us all the rich colours that we can see in India, where the bride came from. 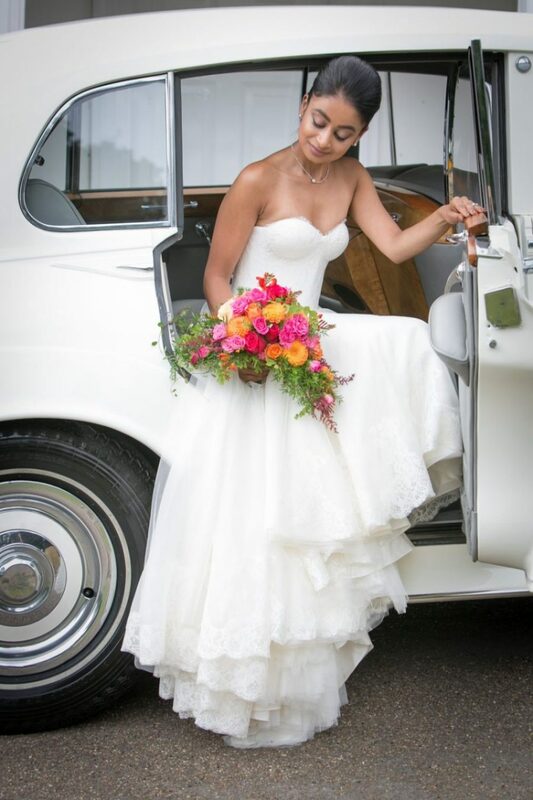 Photographer: Sean East Photography, Bridal Wear Designer: Audrey Ashley Couture, Make-up Artist: Emma Grehan , Luxury Car: Elegance Wedding Cars. 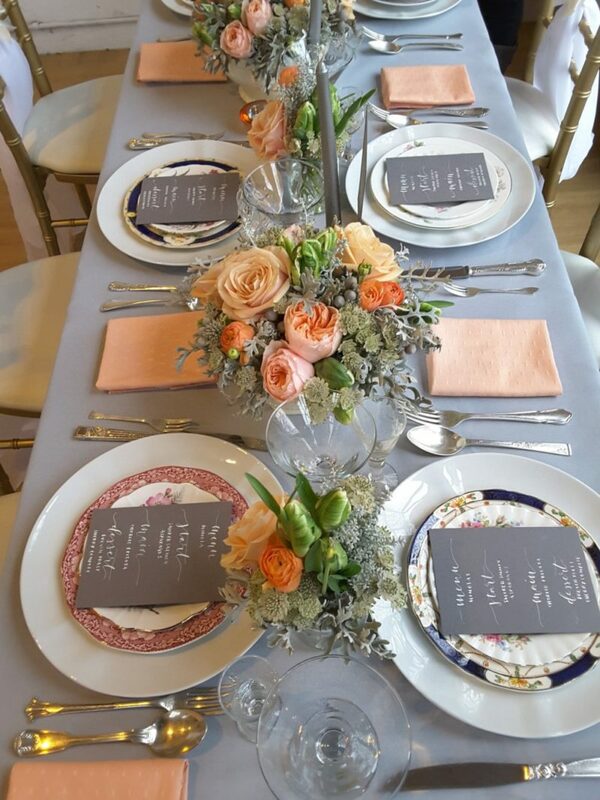 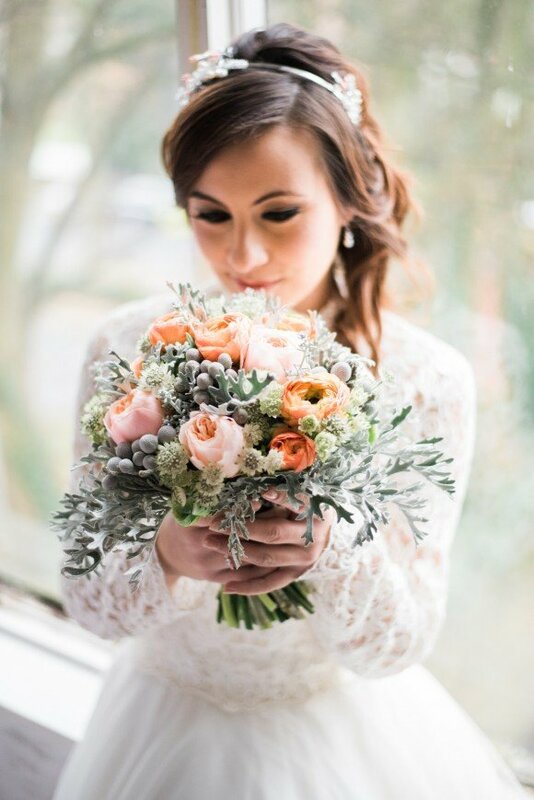 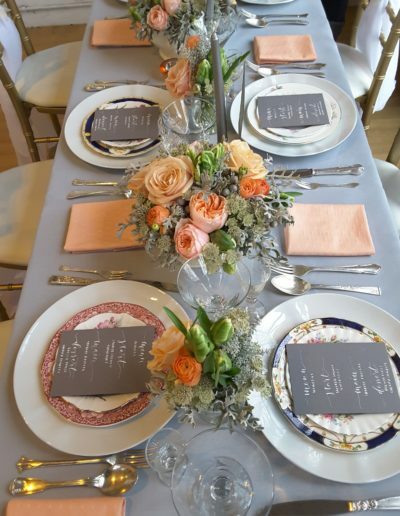 For this winter floral designs we used grey, cream and peach blooms such as: Ranunculus, Tulips, Senecio, Roses, Astransia and Silver Brunia. 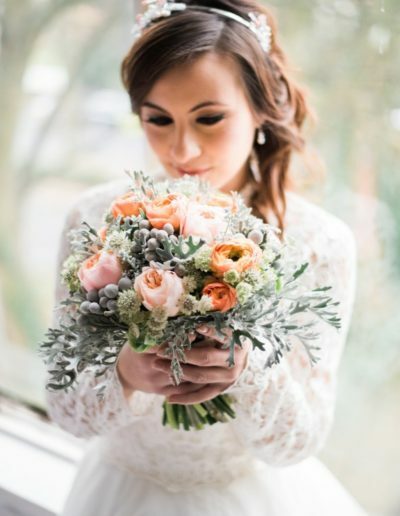 Winter colours are not always synonymous of cold, they can be really soft and they can transport us in a magical Winter wonderland aura. 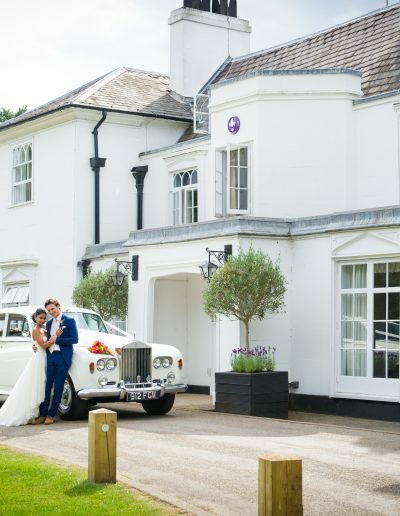 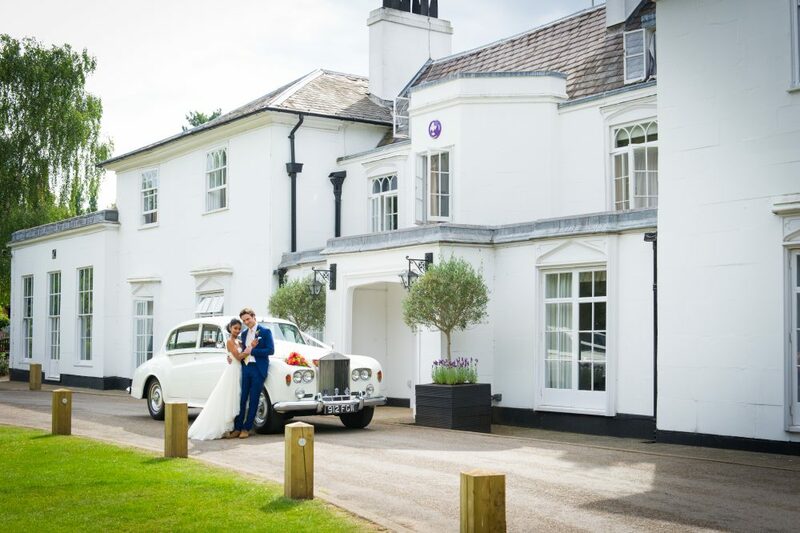 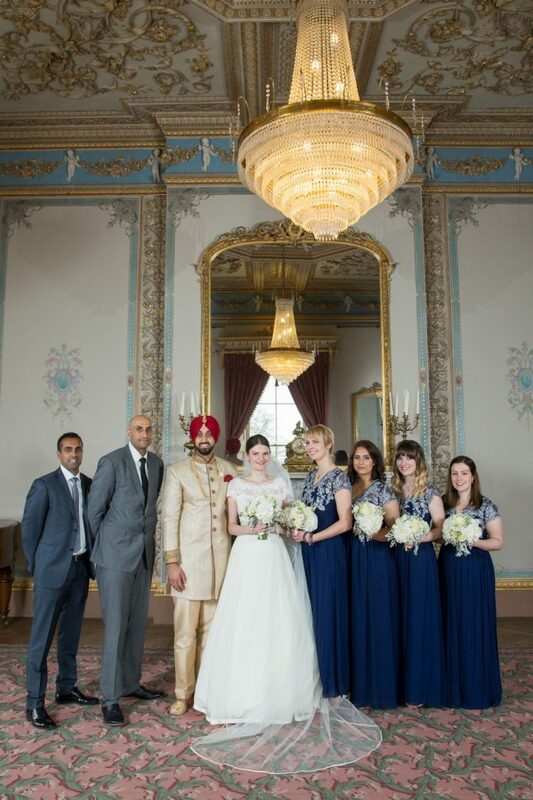 The wedding day took place at the gorgeous venue of Hylands House in Chelmsford, Essex. 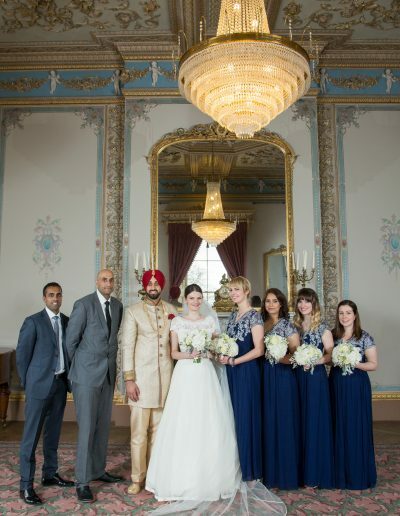 The colour scheme of this romantic wedding was mainly navy, grey and white with a small touch of red. 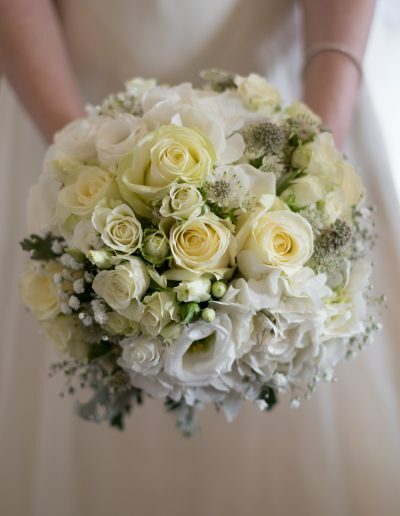 For the bridal flowers, we choose a combination of white and grey flowers and foliage such as Snowflake Spray Roses, Columbian Hydrangea, Avalanche Roses and Senecio leaves. 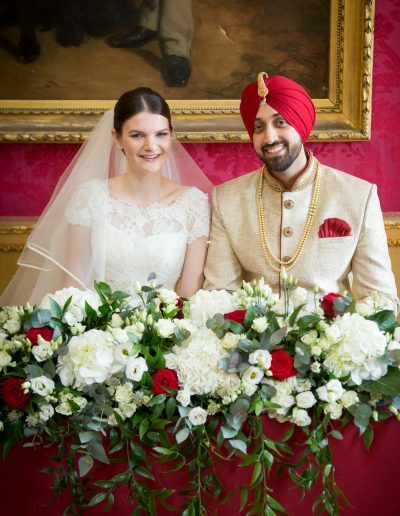 We also decided to add some of the gorgeous Red Naomi Roses for all the centerpieces as a reminder of the traditional Indian suit and turban that the groom wore for the ceremony. 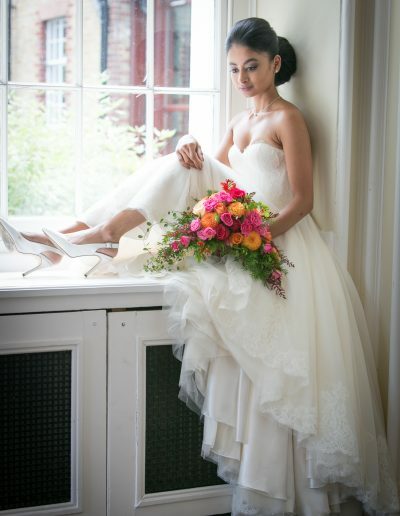 To see more pictures of this beautiful romantic wedding, please click here. 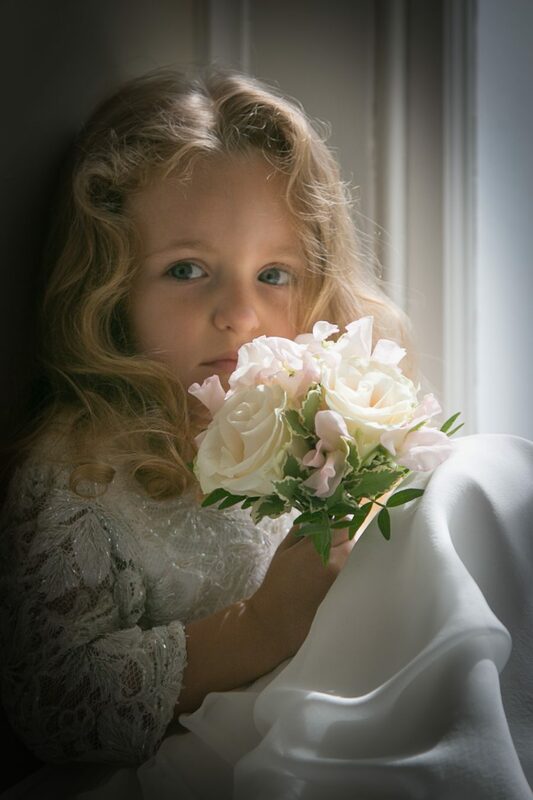 Photographer: Eyeshine Photography, Make-Up Artist: Make Up By Sian. 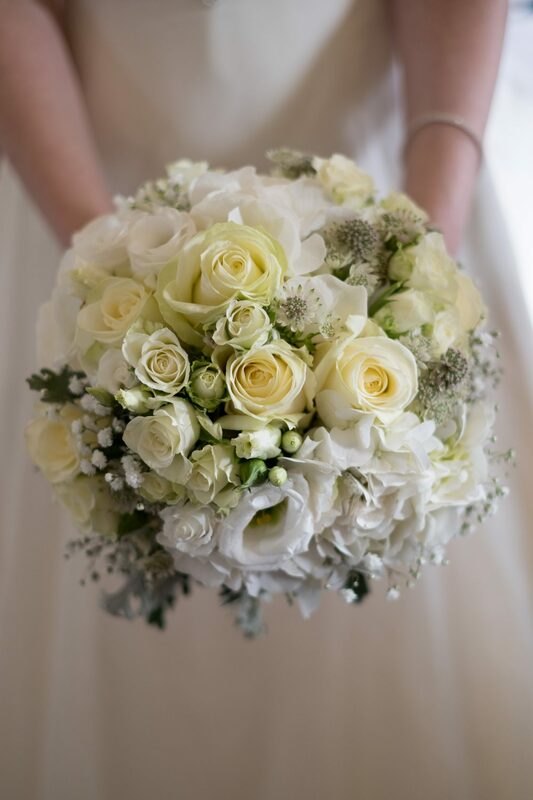 For any enquiries regarding bespoke wedding flowers please contact Sarah Diamant Florist for a personalised consultation by clicking here.